(Richmond, IN)--Downtown Richmond businesses are bracing for another closure of Main Street that begins Monday. 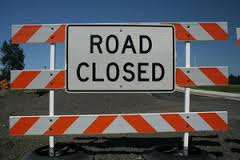 INDOT says that Main Street will close east of Eighth Street today to allow Gradex to remove and reconstruct an area that recently underwent water line replacement. INDOT said the closure will last for at least the next two weeks and could stretch until the end of the month.